The main topic is how to save costs when plastics are recycled. The energy and operation costs have recently become decisive factors when plastics are recycled. Machine manufacturers have been called upon to find new solutions in this field. Herbold Meckesheim GmbH have done their homework and at the FAKUMA, will be presenting their new developments that have been produced at Meckesheim near Heidelberg, focusing on this aspect. Impressive results with the Herbold plastcompactor in plastics recycling. With the Herbold Plastcompactor further emphasis is placed on compacting. More and more frequently, a plastcompactor is used downstream of a washing/separation unit due to its convincing advantages, as part of which can be mentioned the mixing and homogenizing of big charges. Herbold plastcompactors are able to agglomerate a wide variety of materials which includes but is not limited to the list below. Thermoplastic materials such as fibres, small tapes, foams, films, Stretch or thin films, fine particles, powder or shavings, Plastic materials that are difficult to convey, to stock and to mix (moist or dry). The agglomerated material shows excellent flow properties and a high bulk density. As a side product, the agglomeration process achieves an efficient separation of residual humidity. Herbold plastcompactors are available for throughputs of up to 1500 kg/h. In many cases, the production of agglomerate with a plastcompactor is a permanent wellpriced alternative compared to a recycling extruder. The newly developed SB series granulators continue their way to the top. Herbold’s SB series are ideal for all types of size reduction applications from PET bottles to pre-shredded materials where maximum performance and cost efficiencies are a must. 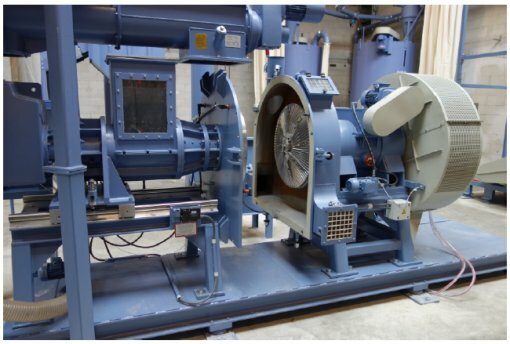 Here are two examples proving the capacity of these granulators: As a secondary granulator in continuous operation for barrels and hollow bodies, an SML 60/100 SB (rotor 600 x 1000 mm, drive 75 kW), can obtain a throughput of 3.400 kg/hr (screen size 8 mm). The construction design of the SMS Series from Herbold Meckesheim GmbH has been improved. 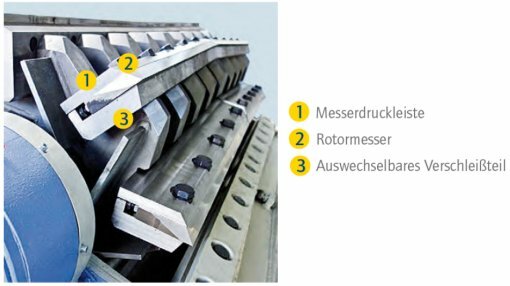 The construction design of the SMS series has been overhauled by Herbold Meckesheim GmbH so in future the machines of this series will even be able to cope with the most demanding heavy-duty applications in one single step. These machines are manufactured with rotor widths ranging from 600 to 2000 mm and with drive capacities between 45 and 315 kW. The knife design is segmental, thus ensuring a quick and easy exchange of the cutting tools. materials that are quite difficult to recycle; the same applies to aramid fibres (commonly used for manufacturing bullet-proof vests), carbon fibres and composite materials, they are labelled as «difficult to grind». there are only few suppliers in the market capable of providing an appropriate solution. The answer is the rotor design: only a rotor that has been forged as one single piece guarantees stability: welding seams cannot break since they do not exist. The rotor knives cannot shift since they have been fixed at a stopper. This design is also an enormous advantage for cleaning operations since there are no “dead spots” where material rests can deposit. Herbold Meckesheim can supply wear-plated rotors and housings equipped with an exchangeable wear zone and thus leading to considerable cost saving compared to timeconsuming armouring of the housing and rotor. For processing extremely large waste plastic pipes up to a diameter of 3 m Herbold Meckesheim has designed a new shredder impressing by its price/performance ratio: the pipe shredder of the HOS series with an oscillating size-reduction surface is capable of shredding extremely large pipes with lengths of up to 6m in one single step. Developments from Herbold Meckesheim are ground-breaking. The wet grinding technique for granulators and many other recycling techniques that are the latest state of the art have been developed by seo-8376.